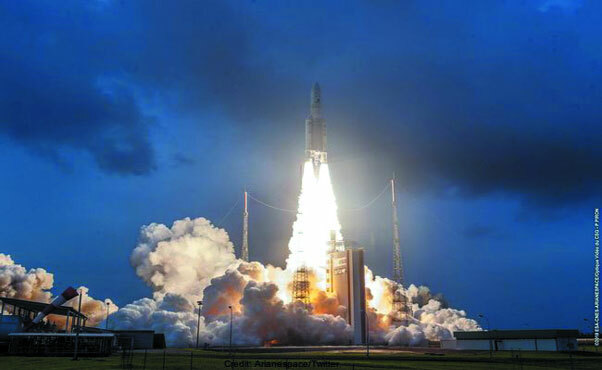 The European Space Agency’s Ariane 5 Rocket left the shores of South America vaulting the GSAT-11 satellite into the orbit. This massive satellite weighing 5,854 kilograms is the heaviest object sent into the space by the Indian Space Research Organisation (ISRO). And given that weight is at a premium when it comes to space, this satellite is loaded with technology. The primary purpose of this satellite is a commercial one — it will dramatically enhance throughput for India’s Direct-To-Home (DTH) satellite broadcasters and allow them to not only broadcast more channels in High-Definition but also prepare for the next-generation of definition on televisions, which is 4K broadcast. At the same time, GSAT-11 with its improved bandwidth capabilities, should also enable Indian airlines to provide satellite-linked Internet services onboard planes. ISRO must be commended for launching the GSAT-11. This advanced satellite programme puts it way ahead of all but a few G-20 nations in the world as India can design and develop such advanced space missions. If there is one small negative, it is the fact that India had to hire an Ariane rocket to carry this payload as our Geosynchronous Launch Vehicle (GSLV) rocket system is not capable to carry such a large object into the space. But the work being put in by the rocket scientists at ISRO will hopefully mean that within the next few years, the next-generation of heavy GSAT satellites should be able to launch an Indian rocket, although GSAT 20, 30 and 31 — the next in the series of heavyweight GSAT missions — will continue to use the European Ariane vehicle. That said, the commercial benefits of these heavy satellites are huge. DTH providers (and DTH subscribers, indirectly) will pay huge sums of money to use satellites like GSAT-11 which are also essential for ISRO to be able to fund India’s more advanced scientific missions such as Chandrayaan and Mangalyaan in addition to India’s ambitions of putting a man into space. India might depend on importing some crucial things for its survival, particularly oil, but its space programme is a matter of pride and a point of envy of the West, marked by offensive columns and cartoons even in respectable newspapers such as The New York Times. India has come a long way from the first APPLE satellite that was carted on the back of a bicycle and whatever other flaws this nation has, we have a space programme that is one of the best in the world.